A female Elymnias hypermnestra tinctoria, one of the butterflies studied for its pigment. The paper, “Different ommochrome pigment mixtures enable sexually dimorphic Batesian mimicry in disjunct populations of the common palmfly butterfly, Elymnias hypermnestra”, was authored by Professor George John of the Chemistry Department and Professor David Lohman of the Biology Department, with Silvio Panettieri who earned a Ph.D. in Chemistry from the CUNY Graduate Center and Erisa Gjinaj who graduated with a B.S. in Chemistry from Macaulay Honors College while working in John’s lab at CCNY. With varied, brightly patterned wings, butterflies have been the focus of much work on the evolution and diversification. 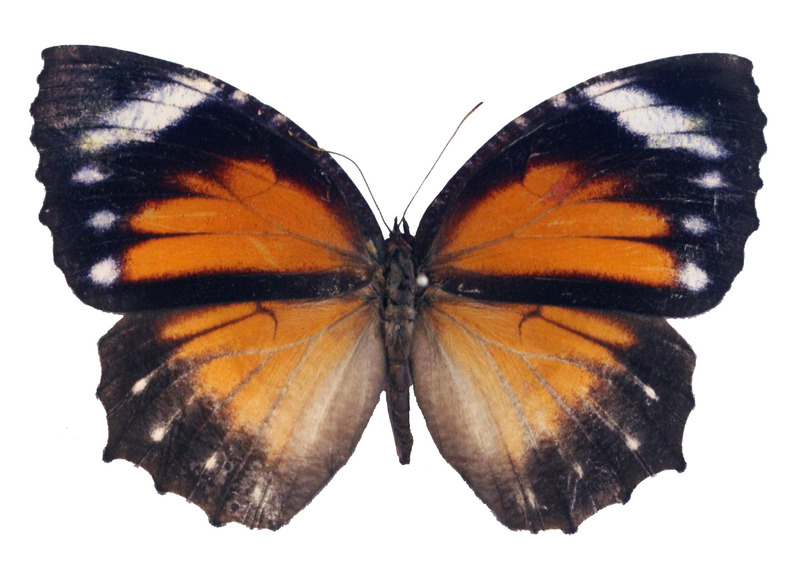 The CCNY scientists characterized the orange wing pigments of female Elymnias hypermnestra butterflies from two Southeast Asian populations. Identifying pigments from butterfly populations in Thailand and Indonesia, which gave specimens different shades of orange on their wings, the scientists hypothesized that different pigments are responsible for differences in wing coloration. The findings suggest local adaptation or parallel evolution where mimicry generates changes, and more pigments remain to be discovered.